I love the library. I love books. I mean, if I could live in the library with unlimited coffee and tea I'd be set for life. Hence, why I keep checking out books even when I have a stack at home. The library just calls me as I drive by! This week I also started volunteering in the elementary school's library and I just love it! 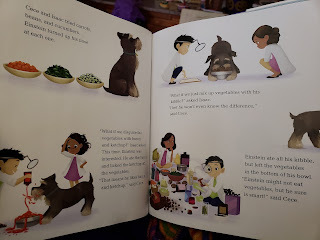 I love helping kids with books and checking out the selection! 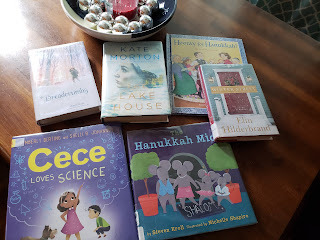 The kiddo really enjoyed the Hanukkah books we checked out last week and has read more at school this week so I grabbed two more. 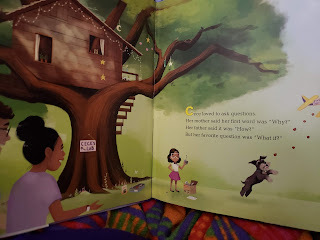 The Hanukkah Mice book has super cute illustrations and is a sweet story. Cece loves Science is a new favorite. It's going on my list of books that I gift out. It's a book full of diverse characters and a great book promoting science. LOVED IT! I am excited to read my first Kate Morton book. I've heard a ton of good things about her books but I haven't read one yet. I randomly ended up right in front of her books at the library and took that as a sign! I also grabbed myself a Christmas themed Elin Hildebrand because I couldn't help myself. A friend had posted on Insta stories that her daughter loved Breadcrumbs and it is based up on The Snow Queen, so I grabbed that for us to try! What books have you recently picked up from the library? Purchased? Gifted?